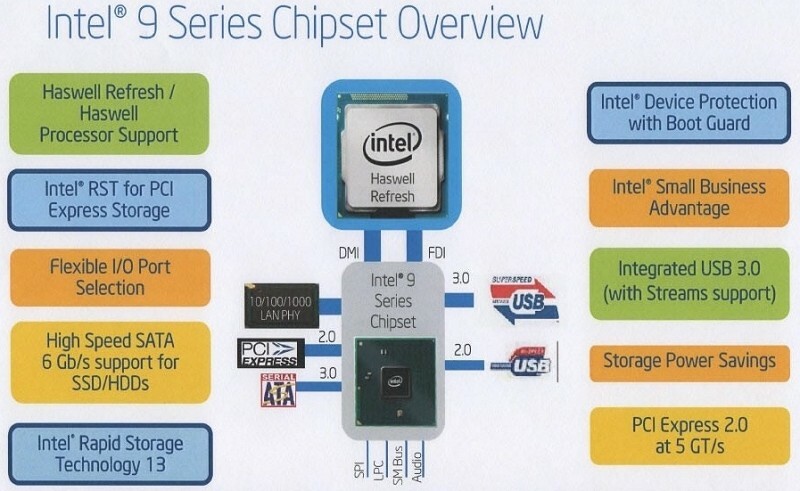 Intel’s next generation Haswell processors could hit the market as early as next month, well ahead of Computex 2014. Led by the Core i7-4790K, the chips could appear on May 10 in most markets according to sources in IT retail as reported by techPowerUp. The refresh is said to offer marginally better performance compared to current generation Haswell chips and will displace existing chips from their current price points. The 9-series chipset, meanwhile, includes features such as M.2 solid state drive support which the publication tells us will get everyone ready for the flood of 1,000MB/s solid state drives expected to launch around Computex. Intel was originally expected to launch the Haswell refresh in April and distribute the chipsets in May but based on feedback from motherboard clients and channel retail partners, they elected to postpone the CPU launch and release the two products around the same time in early May. New socket LGA1150 boards based on Intel’s Z97 Express chipset are expected to arrive in mass in the week leading up to the CPU launch. I’ve been eyeballing a system upgrade for a few months now to replace my aging Core i5 Sandy Bridge CPU so this may be the perfect opportunity to do so. What’s more, the lure of 1,000 MB/sec solid state drives is hard to ignore. Are you planning to upgrade to a new Haswell CPU?